We offer a varied range of Telescopic Crane Rental Service. These cranes have been specially procured from the reputed manufacturers and suppliers, such as grove, kato, tadano, denag, p & h, gottwald, til and unic. With the team of talented experts, who are well trained in various required fields, we are able to provide a world class service to our esteemed clients. In addition, they are available at affordable rates. 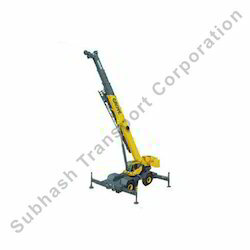 Looking for Telescopic Crane Rental ?